Bring on the sunshine, cold treats and delicious lemonade because it’s summertime! 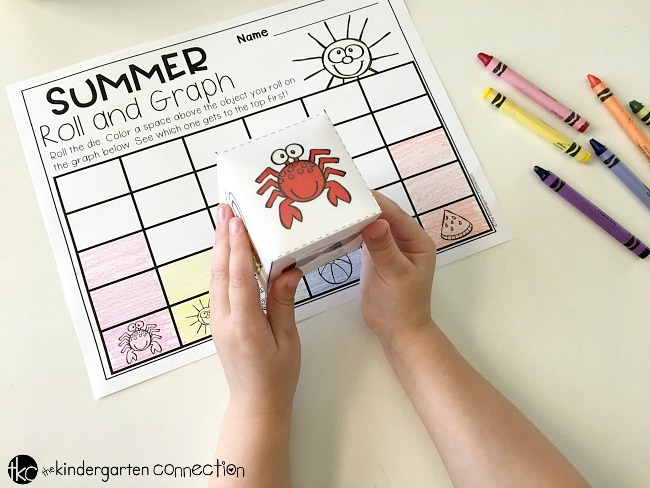 Up next in our roll and graph series is this Roll and Graph Summer Math Activity! Practicing early graphing skills has never been more fun! 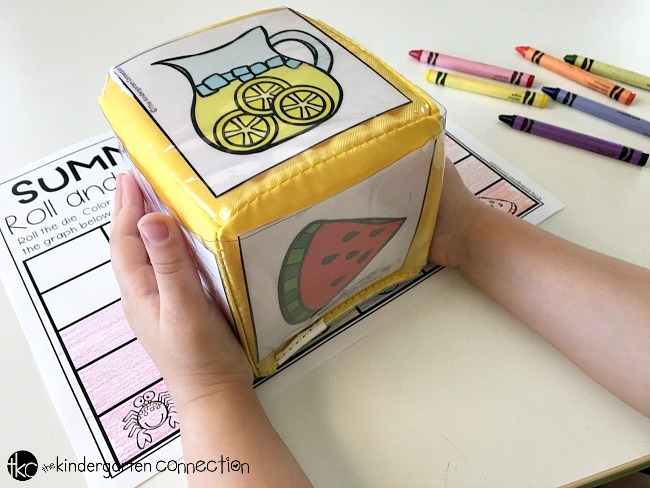 Pair this with our Kindergarten Printable Bundle for Summer. 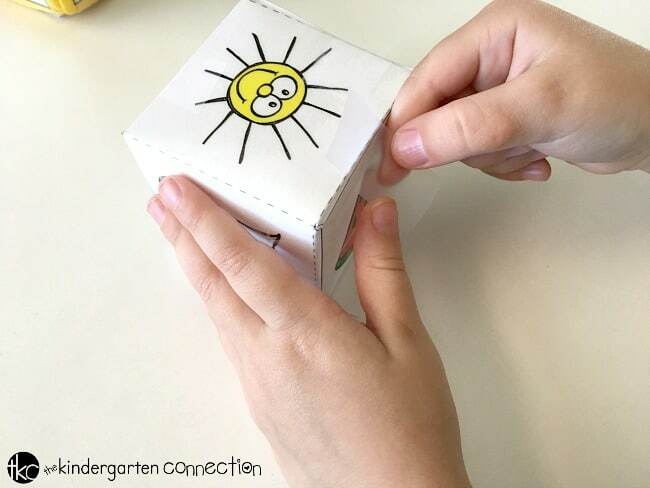 You have two options for using dice with this activity. 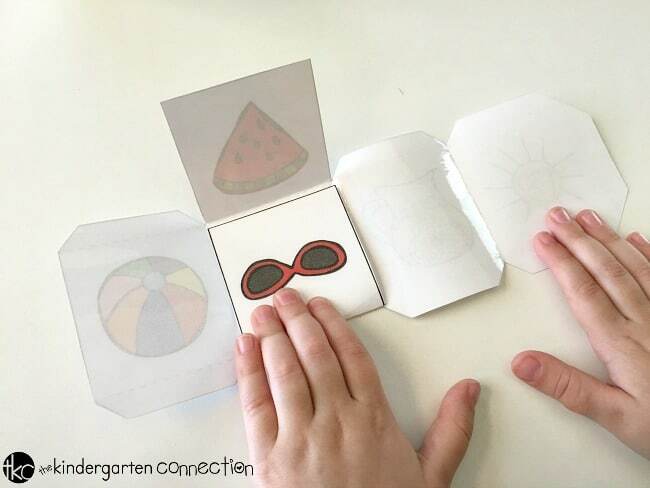 You can use the included summer printable die and assemble it on your own OR you can use the pocket die printable cards to place in a pocket die. 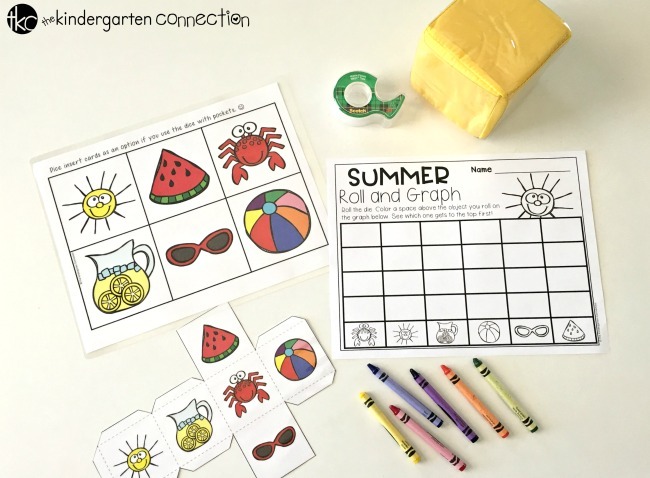 Assembly for the summer roll and graph printable die is simple! I would suggest laminating it first. I think it’s easier to assemble when it’s laminated. Laminating also makes the die more durable. 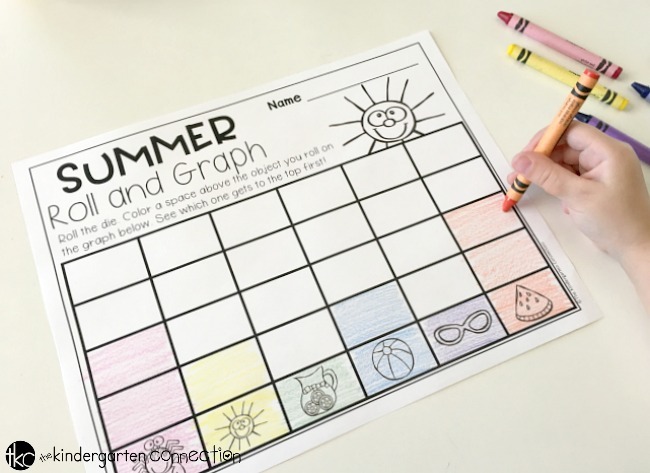 Turn this graphing activity into a race! In pairs, each child has his/her own Summer Roll and Graph recording sheet and they share a die. The game continues until one of the player’s summertime picture has reached the top of their own graph first! 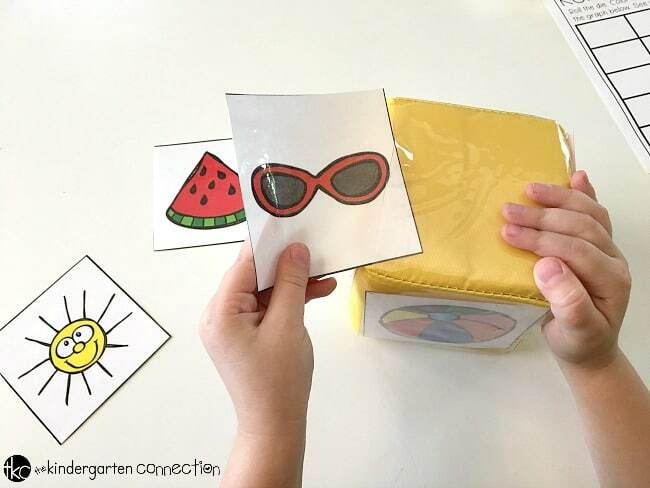 Early Learner Tip: Color in the boxes on the bottom with each box being a different color to help get early learners started. 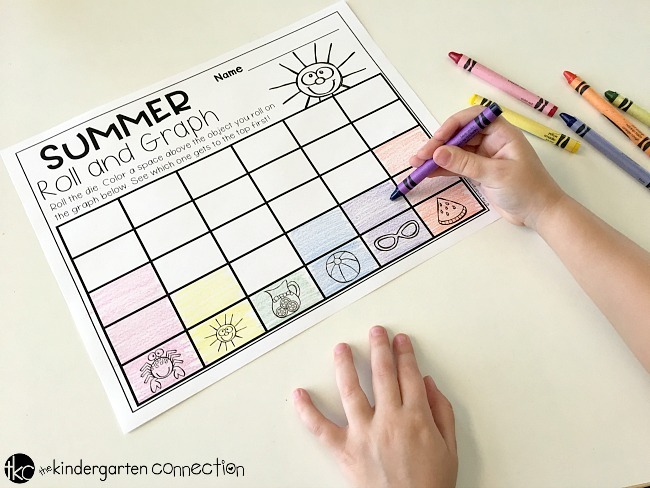 It’ll simple the graphing process for little ones who are just learning how to graph. Ready for some graphing fun? 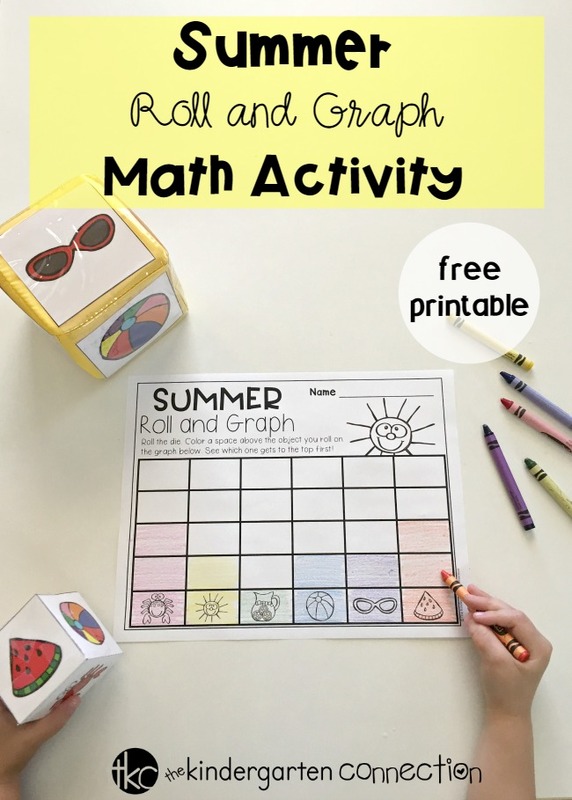 Add this roll and graph summer math activity to your math centers by clicking the yellow button at the very bottom of this post. 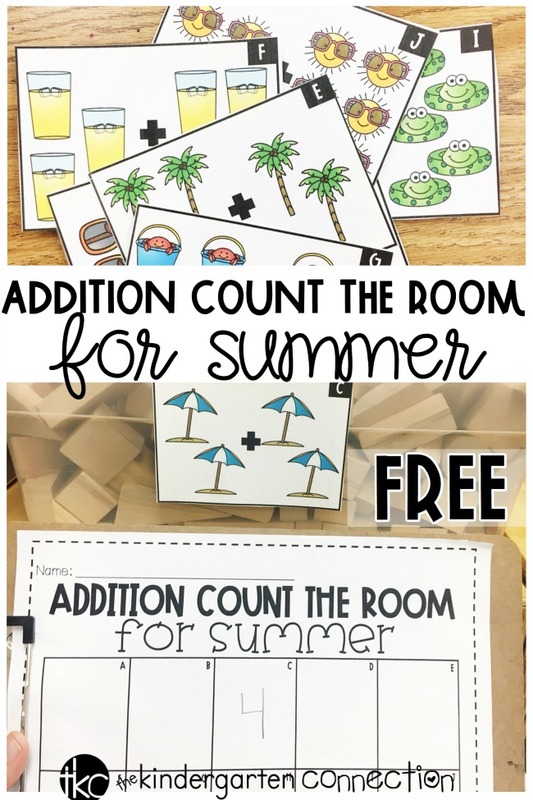 Then hop on over to see our Summer Count the Room Addition Printable! I just wanted to say thank you for the freebies, encouragement, and inspiration you have given me this year. It was a difficult year and y’all made it a little bit better. Thank you and have a wonderful summer break. Thanks so much, Dina! That was very sweet of you to say. We are sorry to hear the year was tough but are honored that we had a part in making it a little bit easier for you. Enjoy your summer!